Lake Geneva, Wisconsin (March 19, 2014) - Nestled in the Southeastern corner of Wisconsin, Lake Geneva has played host to the final National snocross event of the season for over a decade and a half. Carved into the ski slopes of Grand Geneva Resort, the ISOC Grand Finale track was one of the longest and most challenging of the season, boasting features the riders don't even see at the Winter X Games including three uphill and downhill runs. 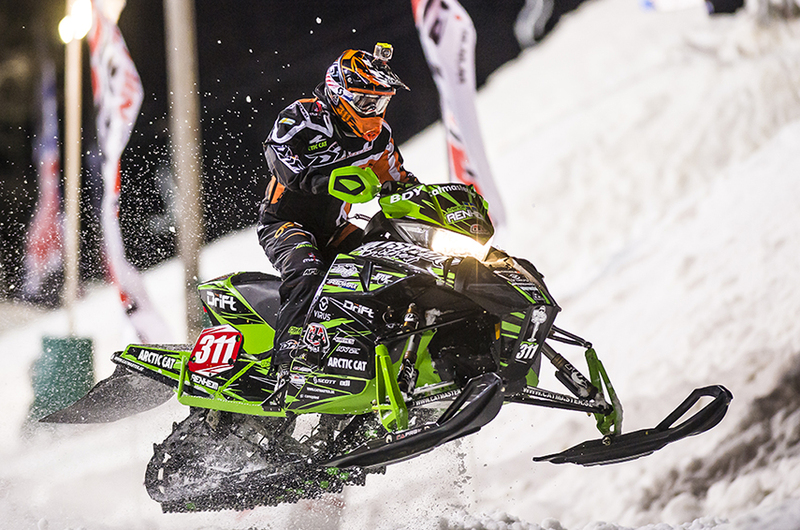 Lake Geneva can make or break you and Christian Brothers Racing was there to try their luck at this three-day points event. Logan Christian - DOC360/DRIFT Racing/Troy Lee Designs/Arctic Cat rider Logan Christian postedstrong performances Saturday and Sunday at Lake Geneva, placing 6th and 8th respectively. This came aftera tough Friday where Christian missed making the final by one position. 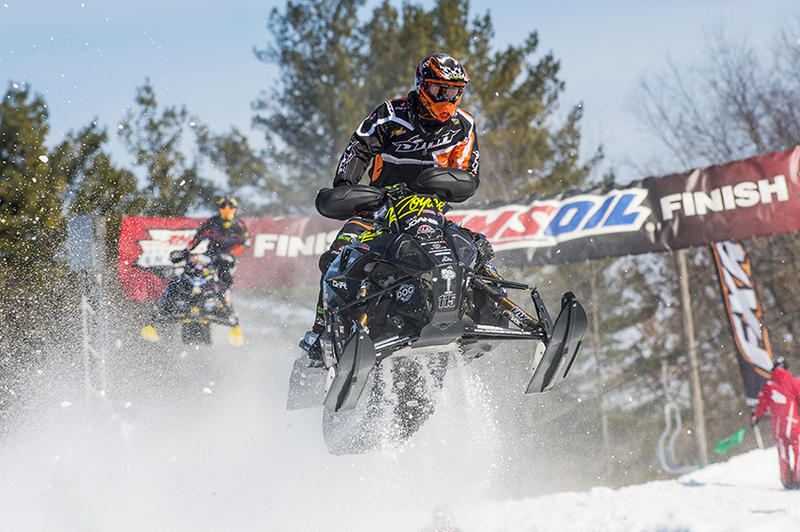 Final season points tally put Christian in 6th place overall in the premier Pro Open class. 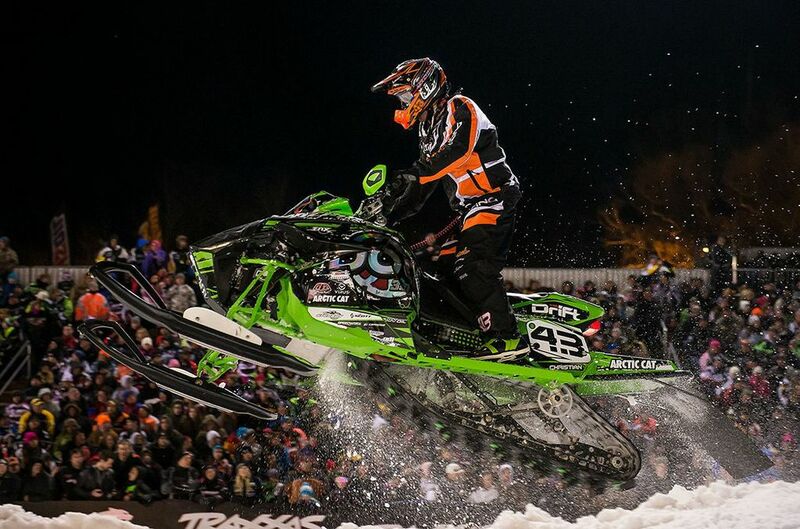 Dave Joanis - Like Christian, Royal Distributing/Arctic Cat rider Dave Joanis tallied much higher finishes Saturday and Sunday, placing 9th and 7th after finishing 15th on Friday. Joanis finished 7th in Pro Open points in this his first season racing the top class on the circuit. 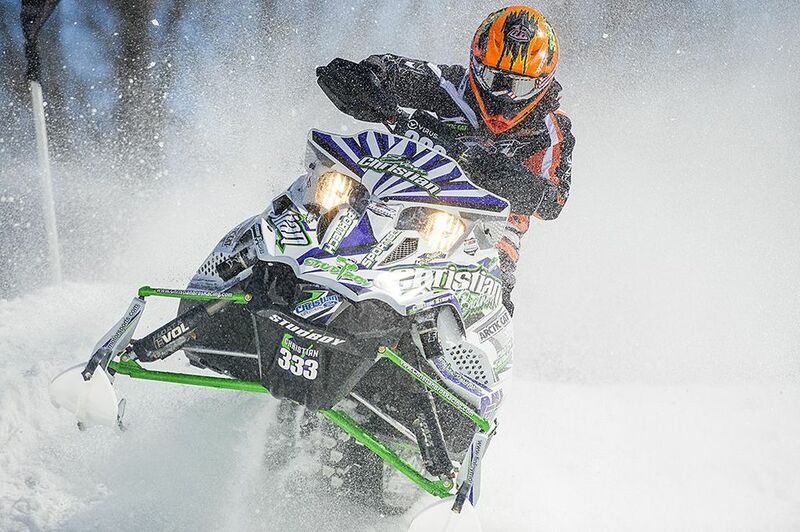 Joanis' season earned him Rookie of the Year honors on the ISOC National circuit. 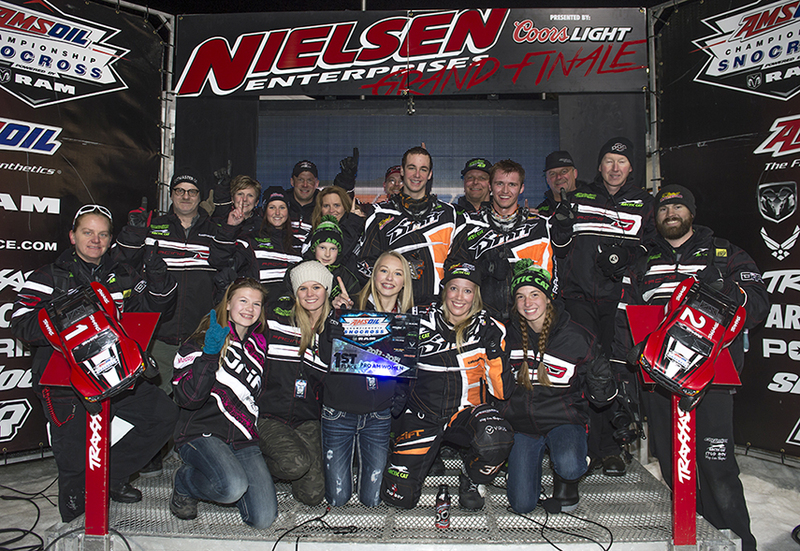 Marica Renheim - Capping a dream rookie season on the National snocross circuit, Polarbearboots/Arctic Cat rider Marica Renheim won both Pro Am Women heats on her way to winning the final. The Swedish rider also won the Showdown race onFriday making it a clean sweep of the class on the weekend. Renheim claimed the points championship in the Pro Am Women class as well. Tyler Adams - It was a long run for Tyler Adams as he fought for the points championship in the Sport class all season. With no room for error in this highly-competitive class, Adams? points lead was chipped away at and he dropped back to third after his massive crash in Michigan a few weeks ago. With final points being decided at Lake Geneva, Adams made one last run and finished 4th out of 105 riders in Sport National points. He was perfect in Friday Showdownracing at Geneva, winning the heat and the final in the Pro Lite class. 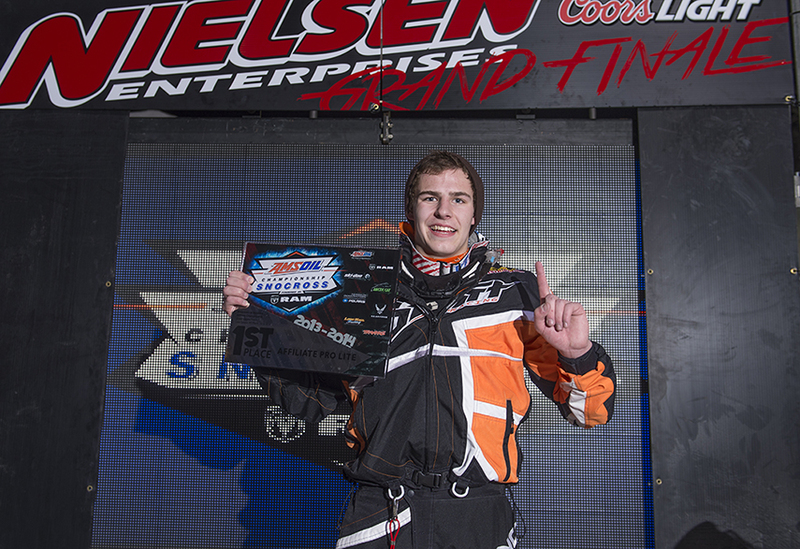 Evan Christian - Finley Motors/Arctic Cat rider Evan Christian took a hard-fought 9th place finish in the Jr. Novice 10-13 class, ending what has proven to be a highly successful rookie season for the young rider. This season was full of ups and downs, but it was fun and I?m happy with the 6th place finish in Pro Open points. I can?t thank everyone on the team enough, those guys work really hard to get us the best sleds on the track. We are going to hit a couple races in Canada then work all summer and hit Duluth wide open next fall. This was my first season in Pro Open on the ISOC National circuit. I got some podium finishes and came in 7th in season points, so I think things went really well. I have to thank the Christian Brothers Racing team for working so hard this season - these guys really are the best in the business. Coming here from Sweden and winning the championship my first year is a dream come true. I could not have done it without Christian Brothers Racing and I have to give them a big thanks for everything they did for me this season. I think Geneva could have gone better, but I?m really happy with how the season worked out. I improved a lot over last year and I think it showed in winning races and finishing 4th in Sport National points. Christian Brothers Racing has been really supportive of me and I can?t thank them enough. Lake Geneva is a tough track, but it was a lot of fun. I am looking forward to next season and getting on the podium again!